As mentioned in my last blog post, President Franklin Roosevelt showed little interest in the fate of Europe’s Jews until January 16, 1944. On that date he had a meeting with officials from the Treasury Department, including Secretary of the Treasury Henry Morgenthau, Jr. and a man in his thirties named John Pehle. These men presented to FDR a report which detailed the State Department’s attempts to “stop the obtaining of information concerning the murder of the Jewish people of Europe.” The report revealed that State Department officials blocked cables about Nazi atrocities that reliable informants tried to send to the U.S.
Fortunately for Morgenthau and Pehle, FDR was receptive to a report of State Department wrongdoing. A major reason for this was the recent testimony of Assistant Secretary of State Breckinridge Long. The House of Representatives was debating whether to ask FDR for a refugee rescue agency that would be separate from the State Department. Congress held private hearings with witnesses testifying for and against the new agency. Breckinridge Long testified that another agency was not needed because “we have taken into this country, since the beginning of the Hitler regime and the persecution of the Jews, until today, approximately 580,000 refugees.” Most members of the House initially believed Long’s story. Then Long made a mistake by allowing his testimony to be published. A few news outlets and Jewish organizations pointed out the inconsistencies in Long’s statement. 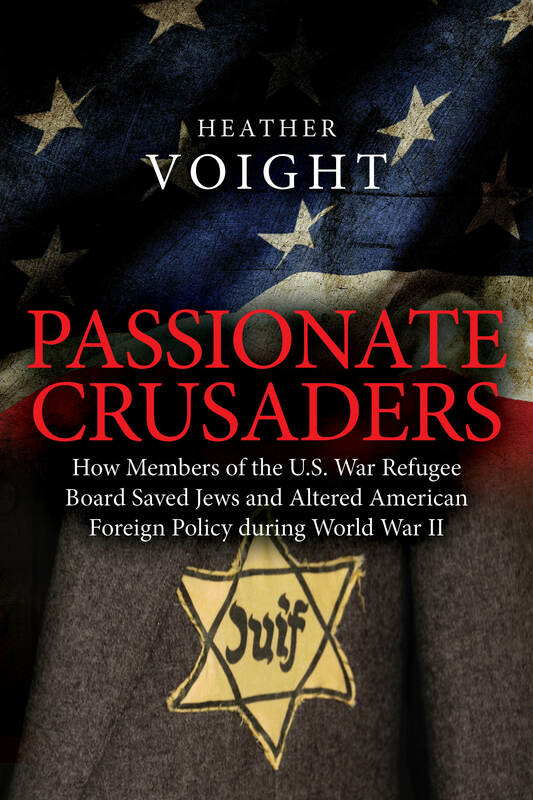 According to the Immigration and Naturalization Service, the number of Jews who came in under national quotas between January 1, 1933 and June 30, 1943 totaled only 166,843–far from Long’s claim of 580,000. The press made Long a laughingstock, and members of Congress who supported the new agency were more determined than ever. The Senate planned to put the rescue agency to a vote, and polls showed it would pass. FDR hated the idea of a scandal, especially in an election year like 1944. Long’s false testimony and the Treasury Department’s report on State Department duplicity were enough to convince FDR to create the War Refugee Board. He made his decision in his twenty minute meeting with Henry Morgenthau and John Pehle.